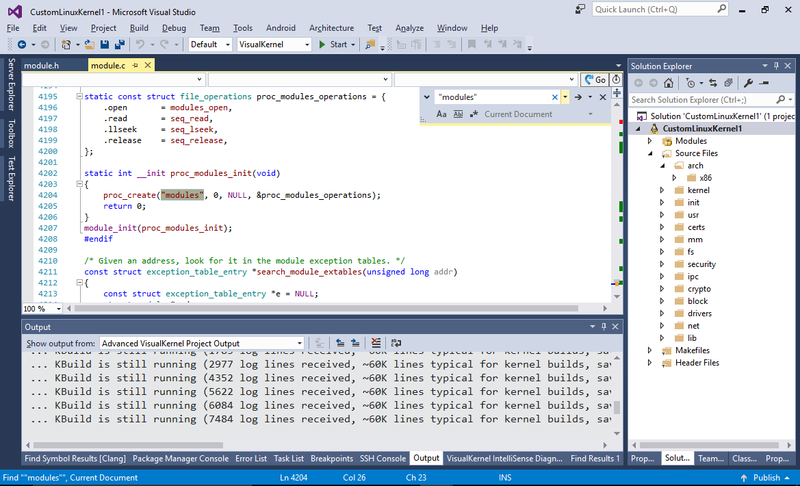 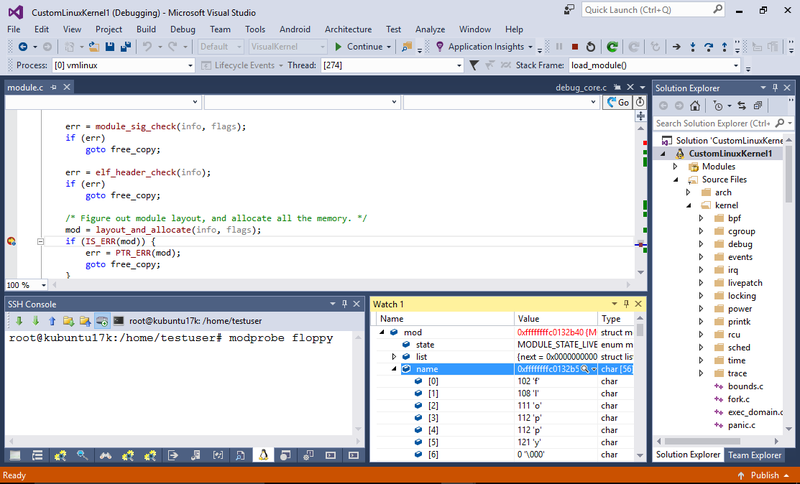 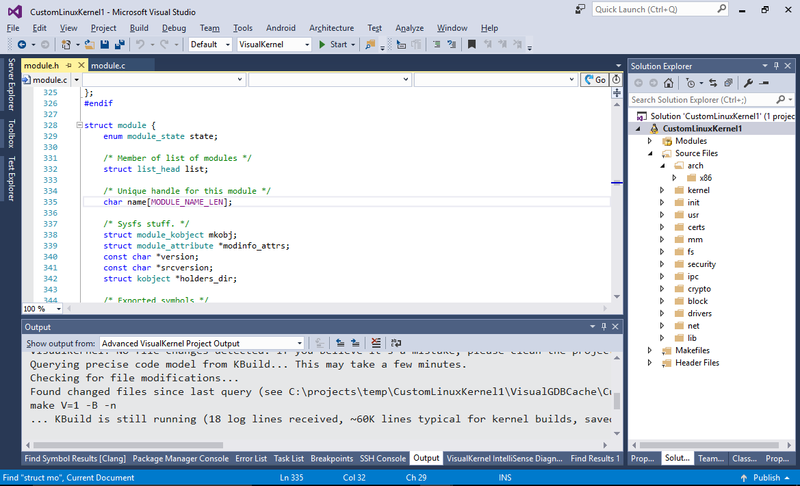 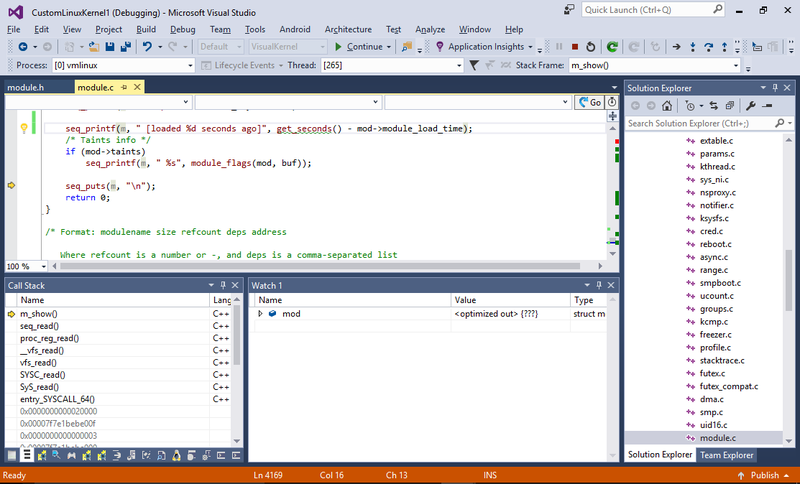 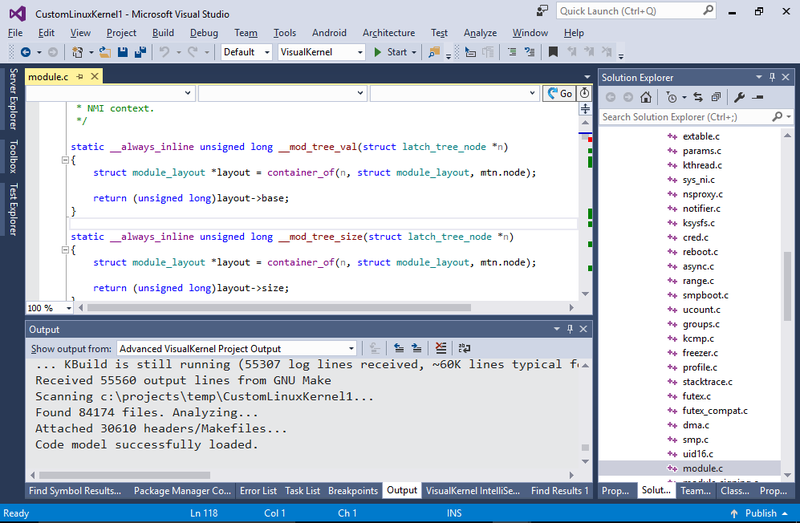 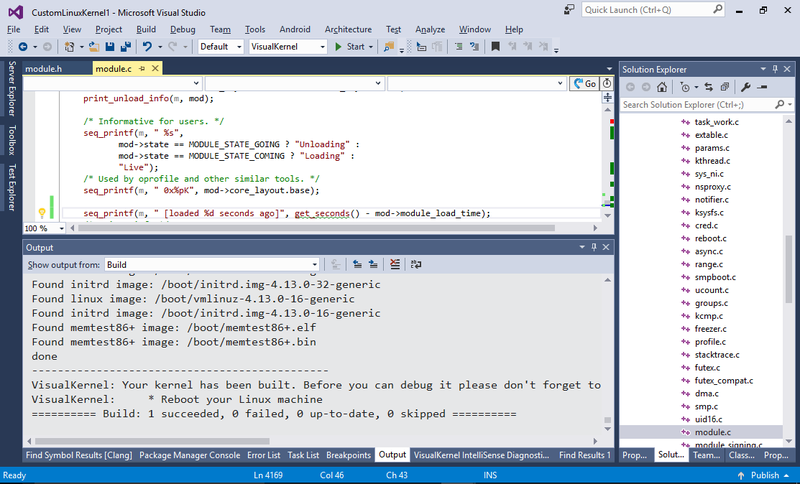 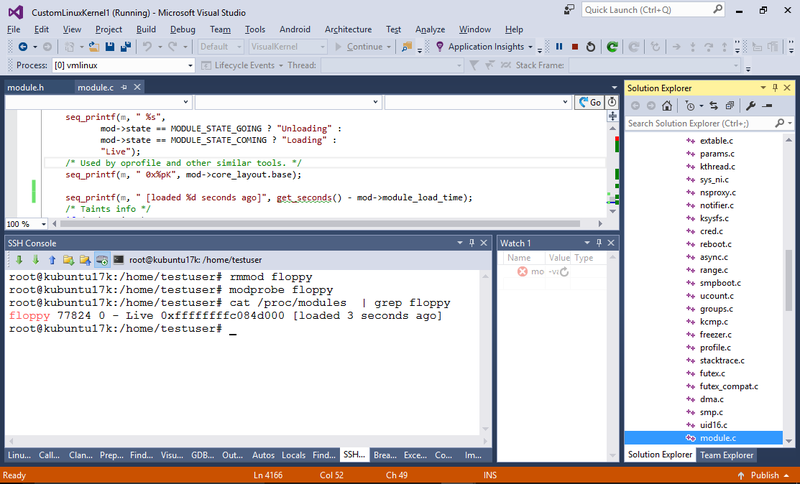 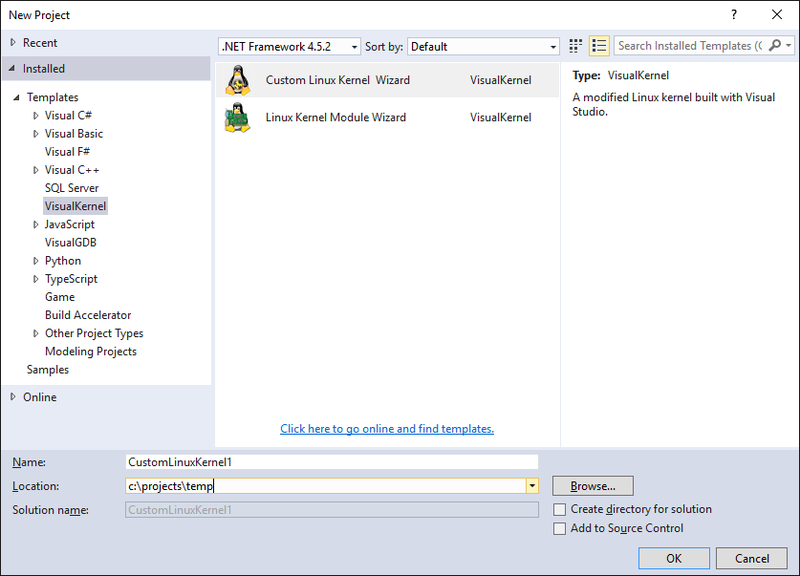 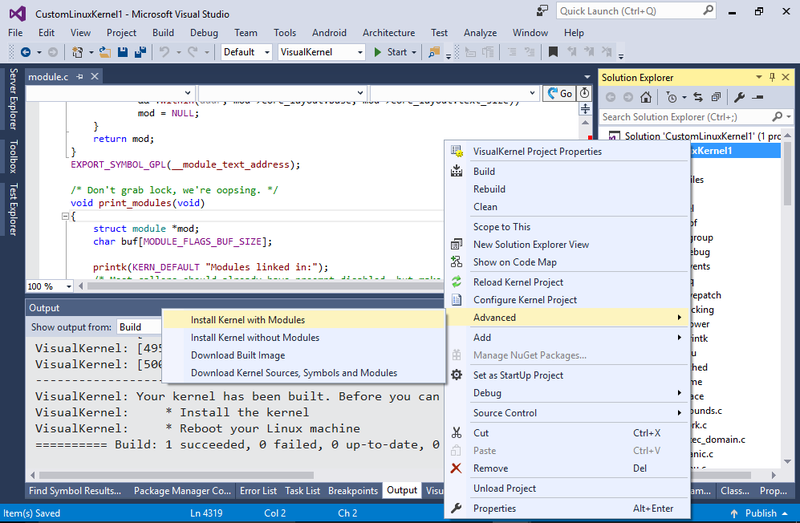 This tutorial shows how to build the Linux kernel, add a small modification to it and debug the new kernel using Visual Studio with VisualKernel. 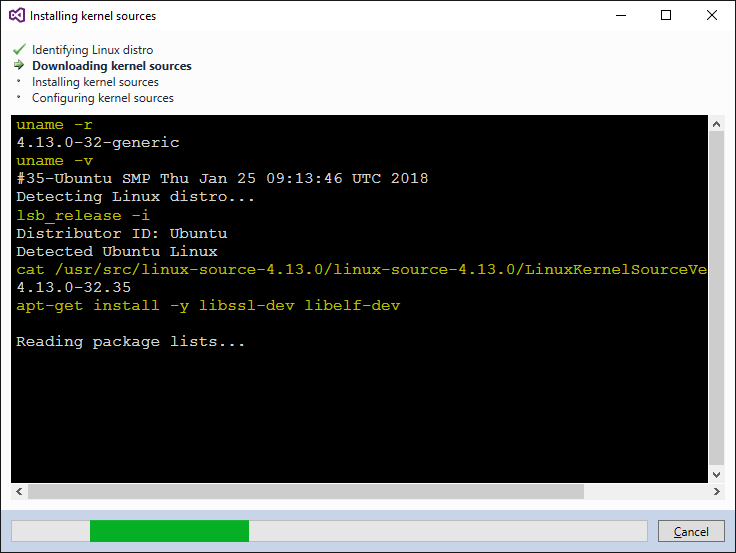 We will use a Kubuntu machine to build the stock kernel provided by the distribution and then modify it so that it shows how much time has elapsed since loading of each kernel module. 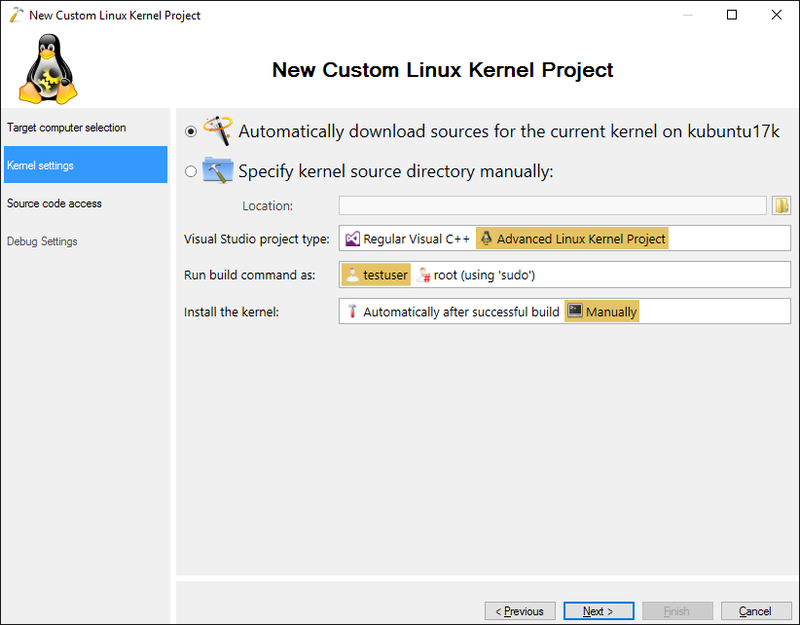 On the next page select “automatically download sources for the current kernel”. 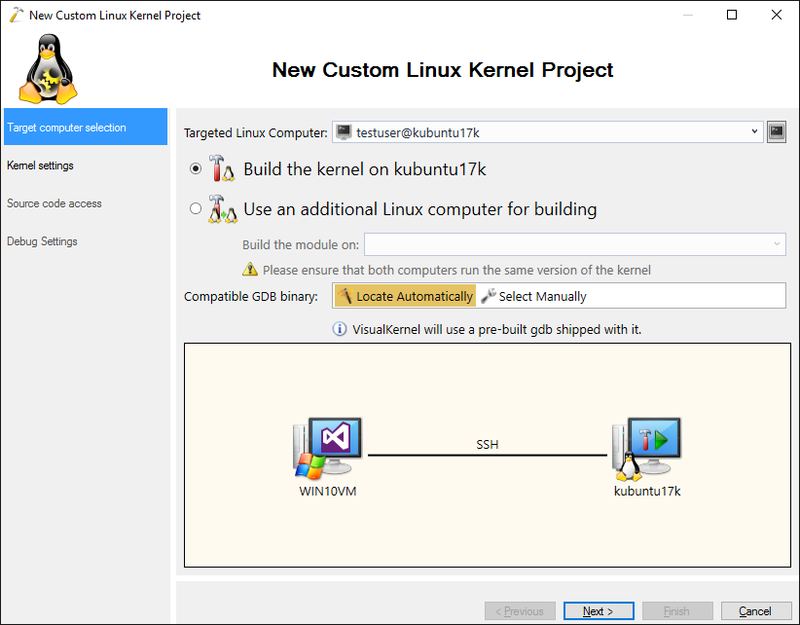 This will work for the most popular Linux distributions. 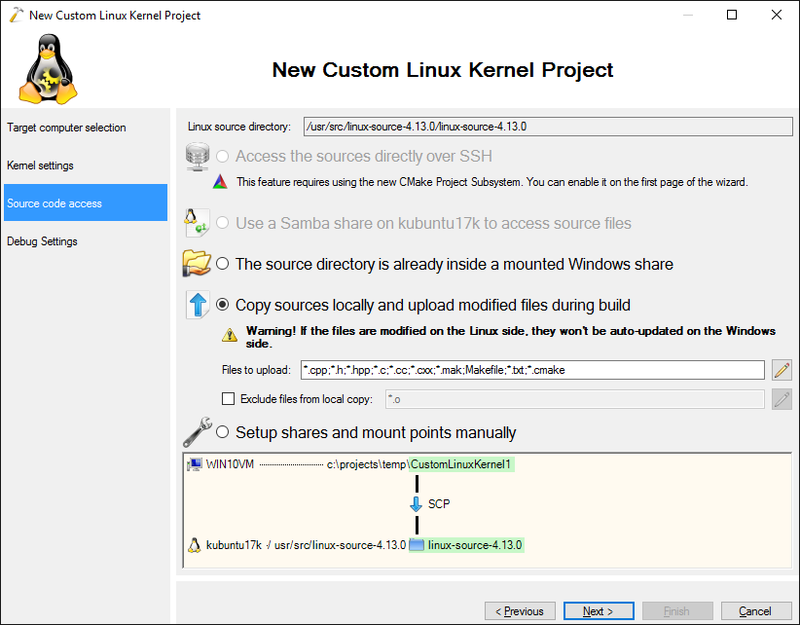 If you are not running one of them, you can also specify a pre-configured kernel source directory: For all new projects we recommend using the Advanced Kernel Project Subsystem as it is especially designed to handle the huge Linux kernel codebase. 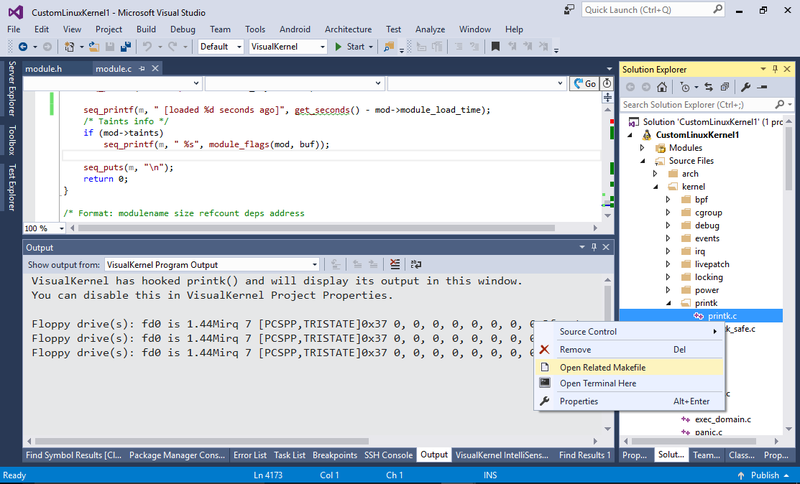 Press “Finish” to complete the wizard. 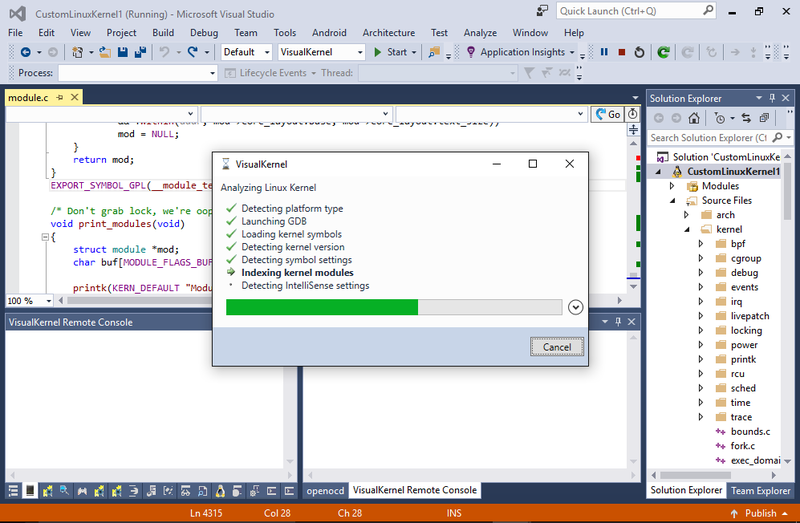 VisualKernel will create the project and start querying the project structure from KBuild: Note that the first load may take several minutes (VisualKernel relies on KBuild to report build arguments for each source file inside the kernel in order to build accurate IntelliSense database). 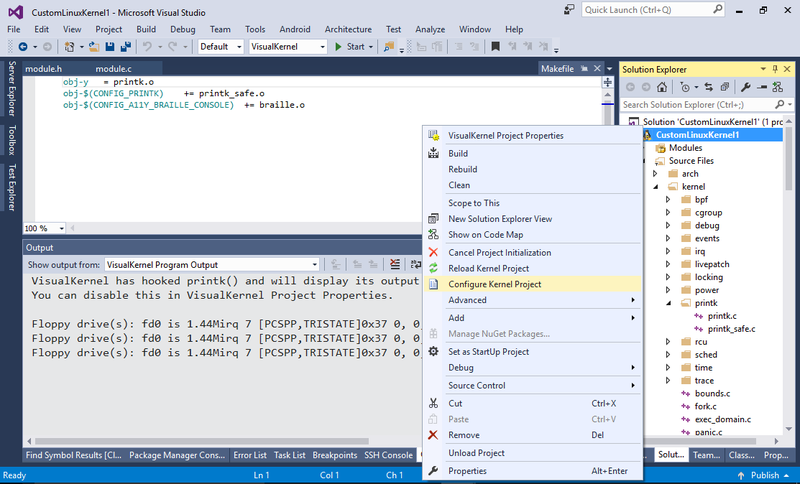 Once the project is loaded, VisualKernel will cache its structure and will re-query it in the background if it detects changes to project files. 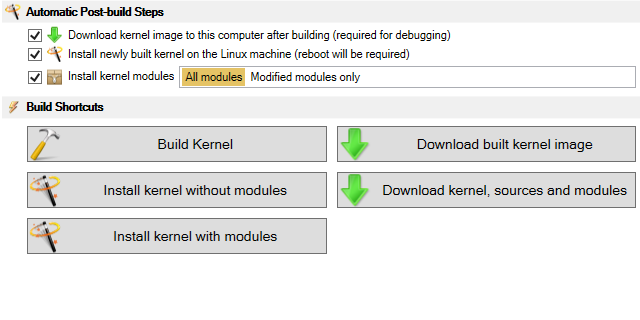 Now we will modify the kernel to store the load time of each module. 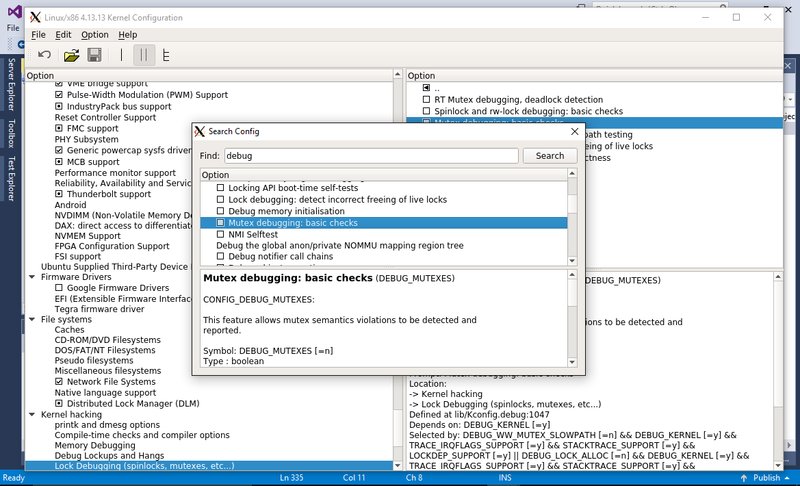 Right-click on the module word and select “Go to Definition”. 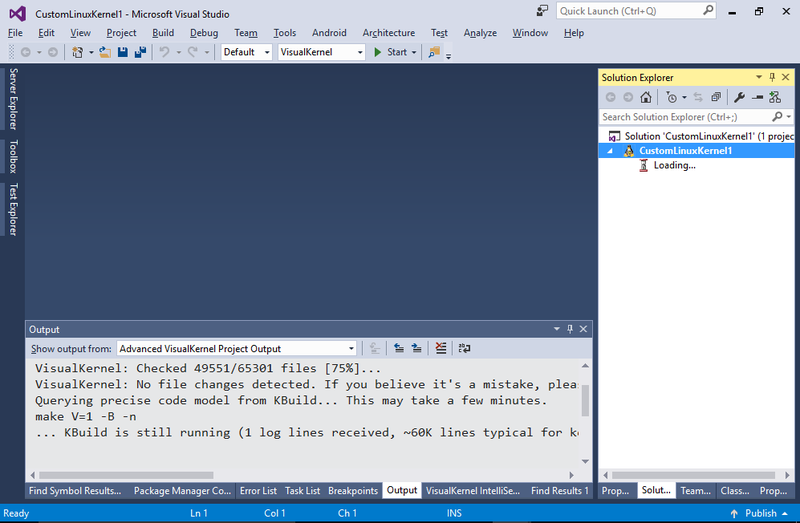 You will see that each line now contains the information about the load time. 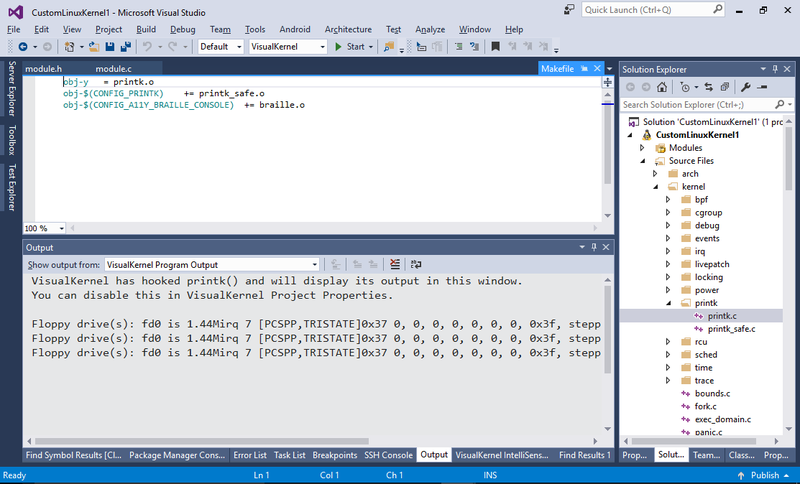 Set a breakpoint on the added seq_printf() call and re-run the last command again: You will be able to step through your new code and examine the variable values just like when debugging normal programs. 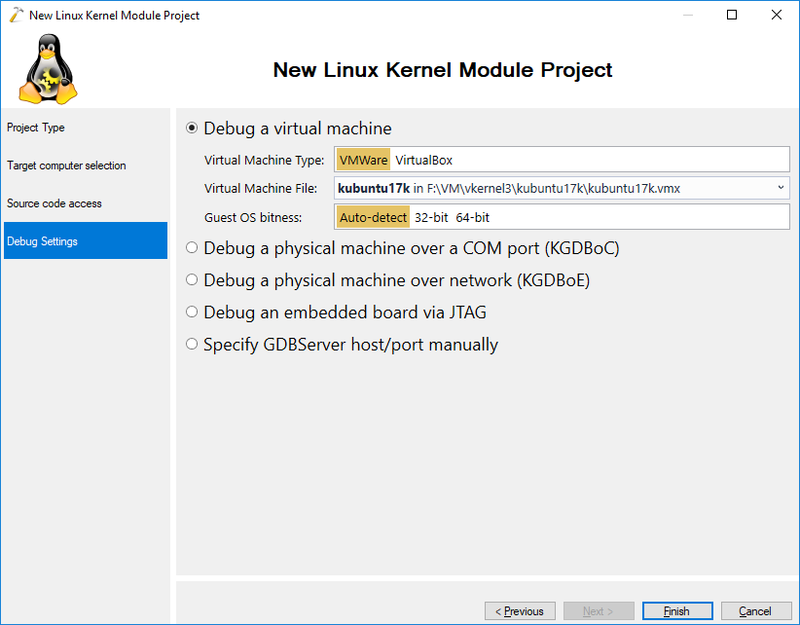 VisualKernel will automatically launch the xconfig tool letting you tweak various kernel settings directly from your Windows machine: If you change the kernel configuration using xconfig, don’t forget to build and install the new kernel. 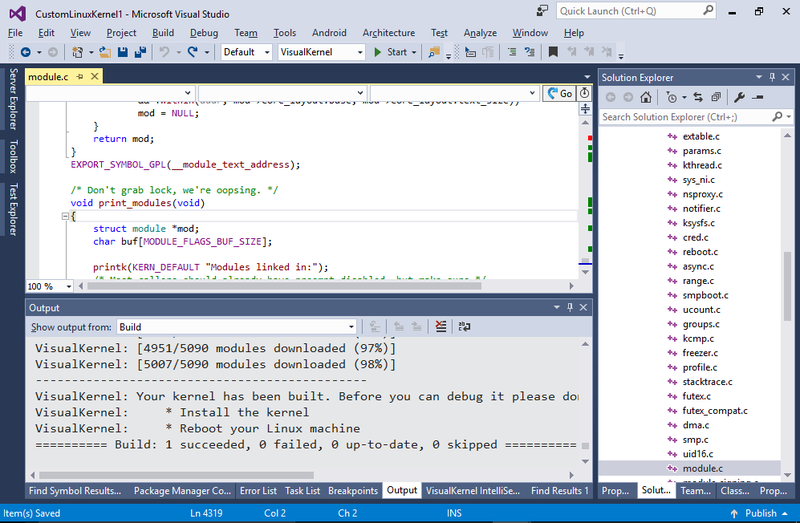 You can avoid long build times and frequent restarts by moving your experimental code to a kernel module and loading/unloading it dynamically. 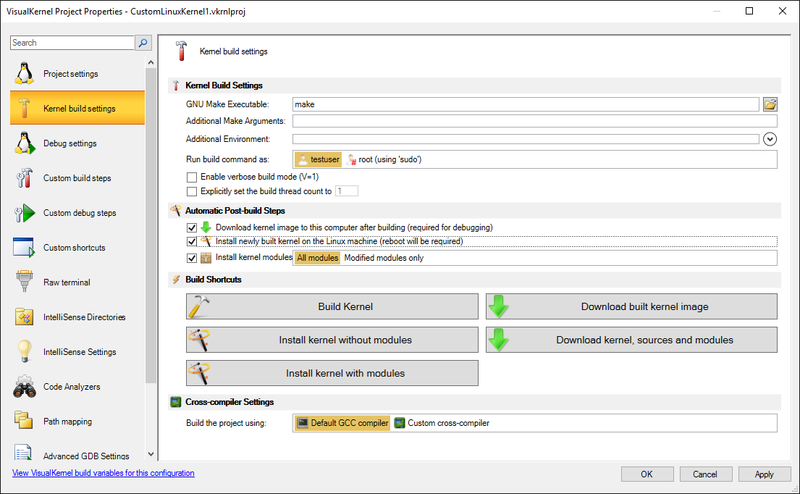 Read this tutorial to learn how to create modules for custom kernels built with VisualKernel.